Do you have some time to take on being secretary to the Association? Our present secretary is retiring this year and we are in desparate need of a volunteer who can attend 2 meetings a year, take and email minutes, and the BIG job, mailshot twice a year to all members, firstly with the Chairman's letter and the subs reminder forms, and secondly with the address booklet and/or Keystone and the Reunion invitation. We have shared envelope stuffing over a lunch if convenient. If there are two members who live nearby to each other this would be an excellent job to share. And 40 years since it closed! 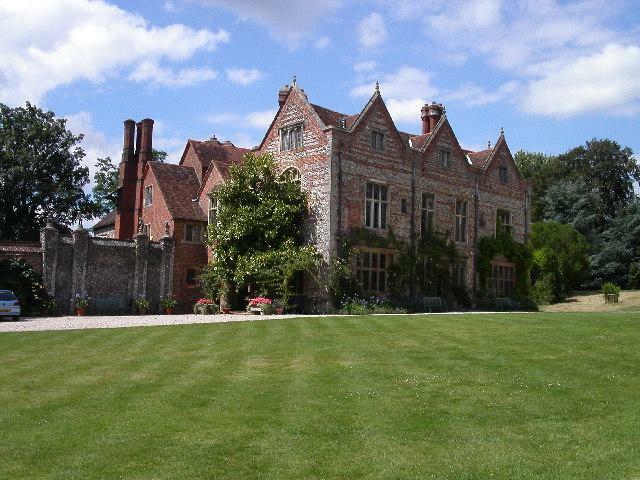 Our Founder’s Day Celebration will be at Greys Court, a Tudor Mansion at Rotherfield Greys, Henley on Thames, RG9 4PG. on Monday 24th June. This is a National Trust Property; we meet for lunch in the restaurant at midday. No need to book, just turn up and look for a girlie table. 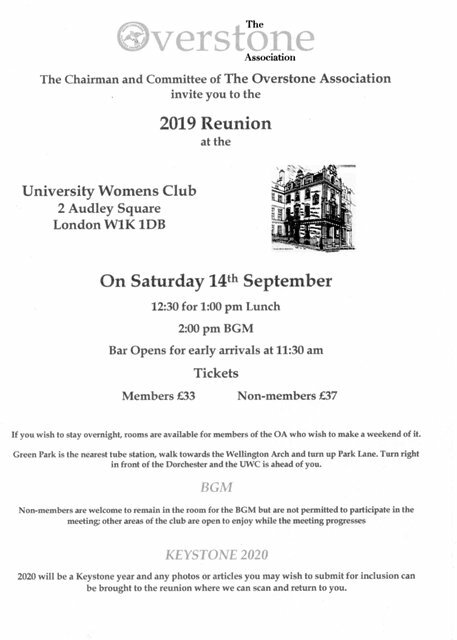 Our formal Reunion will be at The University Women’s Club, 2, Audley Square, London, W1K 1DB on Saturday 14th September. The club is behind the Dorchester off Park Lane and has looked after us for several years. For this more formal lunch you will receive an invitation with your new address booklet late April/early May. It is essential to book and pay in advance for this event. There are places for 70 old girls so please get your forms back quickly. We are planning all sorts of surprises to make this an event to remember. Spoiler alert, one of which will be an appearance of the Overstone Choir from all the years in which we have members! If you were a choir member and can still knock out a tune, please write to me as we want to recreate a sung grace. We have a director of music lined up so all it needs is the voices. The Our Overstone book is taking shape and we are hoping a sample copy might be ready for the London Reunion. If you have something you are longing to share and haven’t yet done so, please write to Julia Jelley straightaway (juliafjelley@yahoo.com). We dread going to final print only to discover we’ve missed a gem. In January the Chairman's letter should be popping through your letterboxes with dates for this year. ( See below). If your subscription is due you will receive a subs form. if you only get the Chairman's letter, this has a reminder to update your details, if you have moved or changed them in any way. This is to ensure the address booklet for this special year is correct. Many members have been enquiring about small donations to the Association, especially if they are Honorary members. If you pay by annual standing order the amount is £7 per annum, if you wish to amend your standing order to £10 , in order to give a £3 donation we would be happy to receive it. Like wise if you pay by BACS you can do the same. Honorary members may wish to send a cheque, or request the bank codes for a donation. This year there are very few members due to pay a subscriiption as we are trying to co ordinate the year in which they are due. Dates for 2019 , Our Celebration Year. If you prefer not to make the journey to London, we have arranged our usual Founder's Day Outing at Grey Court, Rotherfields Grey, RG9 4PG, on Monday 24th June at midday.This is a lovely Elizabethen manor near Henley on Thames, reminiscent of the stately homes we used to visit to celebrate Henrietta Franklin's birthday. We meet in the restaurant at midday and enjoy a lunch togehter. There is no need to book this, just turn up and look for he noisy tables! Again since this is a celebration year we would love to see as many Old Girls as possible. There will be reminders for this occasion in the Chairman's letter in January. If any groups of girls get together on their own, we would be pleased to hear of the gathering, and if invited , a member of the committee would try and attend. So let us know your plans and have the photos of the event. We are working on a celebratory self publish book on Overstone , gathering memories and photos before we all lose the plot! Here is a VERY early draft of the first pages, they have already been added to so not current. The contents page has been included and so you will see the sort of spread we hope to cover. If you have any memories or photos to share for the book please emailthem to Julia Jelley ( nee Stone), whose email is in the OA Address Booklet. You can send them to website@overstoneschool.co.uk if you cannot find Julia's details. Please remember not to include any names ( a girl in our class, some of Vb etc). It may be others will have submitted the same memory and so we reserve the right to edit or leave out as the book comes together. The idea is to have it published on line so members can go online line and order and pay for a copy without the OA needing to print, order and store. We will, however , have a few copies to peruse at various meetings as soon as it is ready. We are hoping to work on this over the Winter 2018 and have something like a final copy in 2019 POSSIBLY ready for the 2019 Reunions. 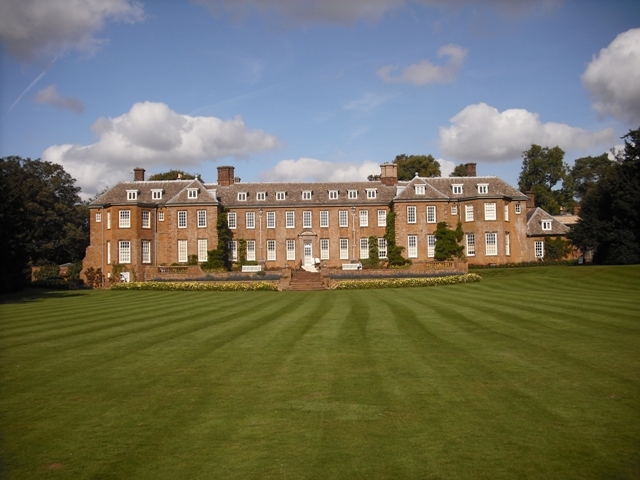 We are looking forward to meeting any old girls at Upton House Near Banbury on Monday 25th June. Just come along to the restaurant for midday and look for the noisy ones! There is no need to book, if you want to tell us you are coming that is always helpful: website@overstoneschool.co.uk Last time we had about 18 girls, both members and non members are welcome. After York for 3 days we hope this one day outing will prove just as popular, especially to any local girls. We meet at midday in the restaurant, this is a National Trust Property with free parking 300 yards away, and a shuttle buggy service to the house and restaurant. There is no need to book, just come along and look for the noisy girls! We will be sending all members a form with your impending copy of Keystone, which by law wehave to produce and you need to sign and return. This is to safegaurd your privacy. In particular it deals with email information. We wish it to be known that the Committee never divulge personal details to anyone, not even another girl who contacts us for information. The contact information is only available to members in the address booklet which is posted to paid up members. When you receive your next subscription form you will find we have added a Privacy Statement , again to comply with the law. We hope you will help us and return the form in a stamped addressed envelope for which a member has kindly donated the funds. At this time, can we also remind members that prompt payments and responses to Keystone news requests would be greatly appreciated. This year, 2018, has proved to be one where we have had to chase members rather a lot! We quite understand that some members no longer wish to keep up membership, but many have simply lost the form, or quite humanly forgotten! When it pops on your doorstep, please pay it straightaway, it's so easy with BACS! We have sent out via email more details of the proposed visit to York. As with Edinburgh last year Old Overstonians should organise their own travel and accommodation and be at Cote Brasserie 49-51 Low Petergate YO1 7HT for 6pm so we can plan ahead and have some supper. 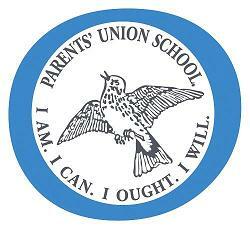 If you intend to come to Cote please let Sue Bates know, suebates359@gmail.com as at the moment there are 19 of us from all years and a table has been reserved. Edinburgh proved a great success with many folk joining up together for a visit, lunch and supper, whilest others went off and did their own thing and came to the meals when they could. It makes a refreshing change to see many Old Gals in a different part of Britain. It is with great sadness that we inform you of the death of John Urmson, a member of staff who came to the school to teach history in 1963. With his wife Trudy, who survives him, he made a great impression of the girls at that time, and is remembered with affection. The chairman has both spoken and written to Trudy on behalf of the Association. The funeral is on Tuesday 14th November at 2pm at Sywell Parish Church. Refreshments will follow in the Village Hall. The family will depart for the Crematorium immediately after the service but will be back at the Hall for 4pm and hope some guests will be able to stay and talk to them. Following the great success of an Edinburgh meeting we are proposing a break in York. 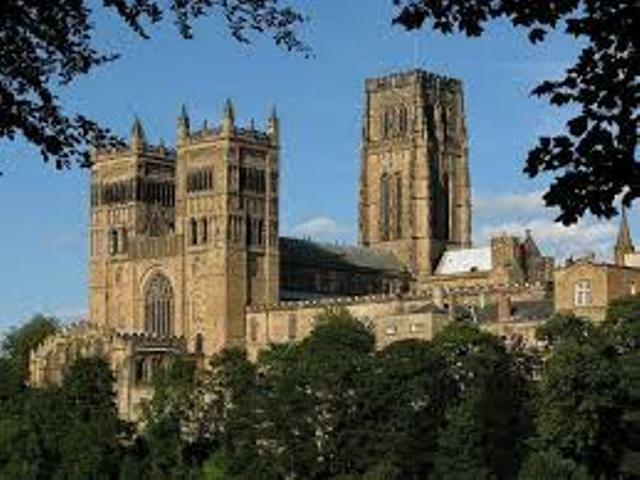 There are quite a few members in or around York and we hope they will join those of us in accomodation for days out, lunches and suppers over 3 days. You don't have to attend every day! We aim to meet on the first night at 6pm at Cote Brasserie, 49-51 Low Petergate YO1 7HT. We can have a relaxed supper here and plan the first day. There is so much to see in York, groups may wish to follow their own programme but always have an idea where most of us will head at lunchtime the next day, or where we will have booked a table for supper the next night. We planned the days like this in Edinburgh and it worked very well, no one was left out. Mobile phones were a godsend. 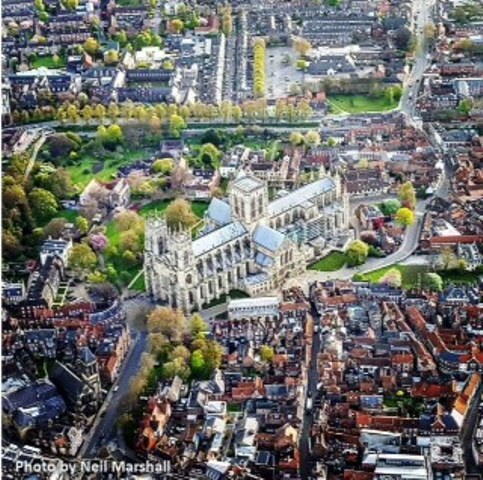 Anyone travelling to York will arrange her own travel and accomodation, do use the new address booklet to work out who might be local and get advice from them. An email will go out in the New Year asking who is interested and then those girls will get updates as to what is going on, this saves other members being bothered by items that don't concern them. There will always be updates on this page in case you want to catch up. Incoming chairman Sue Bates needing a drink! Saturday 2nd September at the University Women's Club, Audley Square, W4K 1DB , at 12.30 for 1pm lunch. The bar will be open from 11.30 am for any early arrivals . The invitations are about to be emailed to the members of the Overstone Association, please look out for them and if you don't think you have received yours contact info@overstoneschool.co.uk, or web@overstoneschool.co.uk. Those at Stowe Founder's Day have already had the opportunity to book seats and so please do try and come along. Non -members are very welcome for a small amount more. Last year we had 30 girls , sadly 2 on the day were unable to come. Do make an effort, get a party up, it was very jolly last year, especially when the bar opened and we went out into the garden for pre lunch drinks! There is a copy of the booking form if you scroll down and you can photosnap, or even write a covering letter with your cheque if you aren't a member or are a member and can't get emails. Last year at the University Women's Club, let's try and make it a bumper year this year! A very successful Founder's Day Outing on 19th June at Stowe. 18 old girls arrived for lunch and a walk around the gardens. There are more pictures of the event under Members' Photos. 12.30 for 1pm two course lunch with coffee. Bar will be open from 11.30 if anyone arrives early! Below is a copy of the booking form for anyone who would like to come and is not a member, or a lapsed member. You can cut and paste this to send back to the Treasurer. If you cannot do this you can email info@overstoneschool.co.uk for a paper form to be posted or emailed directly to you. All members should receive an emailed invitation and booking form within the next few days. Note from website organiser ...since moving to Windows 10 I am having a bit of a struggle getting conformity with the new programme, please bear with me, I am learning as quickly as I can! 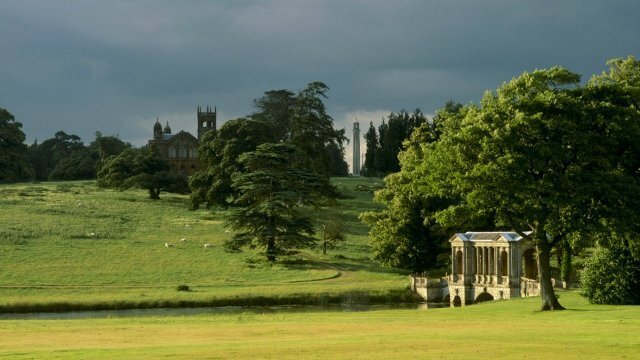 The beautiful gardens at Stowe National Trust Property give us our venue for 19th June 2017. As usual we will assemble at midday in the cafe/restaurant of the NT property. There is no need to book a place, this event is always very casual and a great deal of fun because no one worries about clip boards or lists! Members and non members are welcome. Last year we had around 20 people. Do spread the word and get a party up to come along. The exhibition took place as advertised. 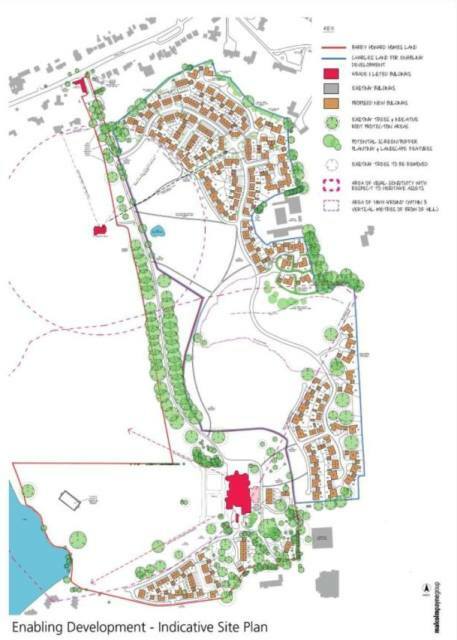 As could have been predicted there was a lot of local opposition to the size of the site, the access to the site and the infracstucture in the village. 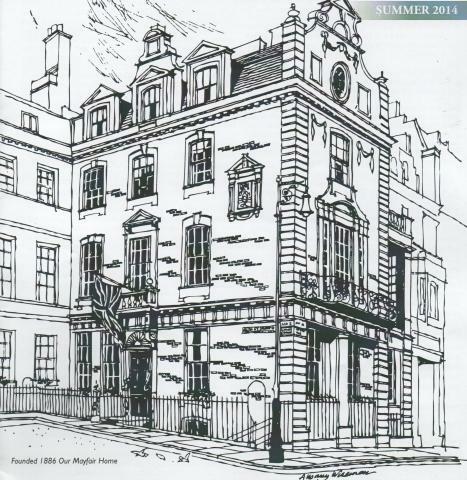 Some old Overstonians went to the meeting and felt pleased that there was a proposal to restore the house. The biggest development is to the left of the drive as you enter the park. Here is a map of the proposals from Framptons. We wait to see if there can be an agreement reached for the enabling permission so that the restoration can continue. Many of you on Facebook will have seen the news about Main House. There is to be a public exhibition of the proposed planning application on 23rd March from 3 pm to 7.30 pm at the Overstone Golf Club, Barry Howard, the developer , or an associate, will be on hand to talk to you. Barry is very keen to gain as much information about the original Hall that we knew. He is already seeking oak to re make the stair case. Our Founder's Day is on Monday, 19 June at Stowe School Gardens, Buckingham, MK18 5EQ, Telephone 01280 817 156, don’t forget you don't have to say if you are going or not, just turn up. There are beautiful grounds to have a walk round and a lovely café that can accommodate all of us. 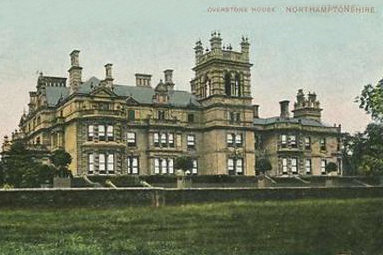 It is once more a National Trust property. We meet at the cafet at midday. These very informal days are proving popular, you don't have to be a member, you don't have to fill in a form, just be there! You will recognise the group. all quite noisy chattering away. Last year’s Founders day at Hughenden House was well attended in spite of rotten weather! It was good to see Anne Thompson and Sally Myron who hadn't been to any Overstone events for a while. Sally has now joined as a Member, so Welcome Sally. There is no Keystone news reminder with this letter as this is a re-union/BGM year and the date has been set for Saturday 2nd September at the University Women’s Club in London (details to follow) please save the date. The event was very well attended last year with many girls from across the years. John Watson Airs died peacefully at home on 13th November 2016, aged 83. Much loved husband of Annette; father of Matthew, Dominic, Chantal and Lucy; and grandfather of Anne, Stanislas, Julie and Almaz. The funeral took place in Mussidan, France, where he had lived for many years. It is with sadness that we inform you of the death of Headmaster John Airs. His obituary in the Daily Telegraph is below. Elspeth Page ( Mrs Lewin) , former Head Girl in the 60s celebrated a special birthday with friends from Overstone. 10 old girls met up in Edinburgh and had a wonderful sunny and warm 3 days touring the city after Anna Gordon, our Edinburgh correspondent, invited us all this beautiful city at the September Reunion. Here are a few photos of the event. We always seem to be eating and drinking whenever the camera was produced! On Wednesday 13th we all managed to meet up from our various B and Bs and go round the Britannia. Joyce Peel took the train and joined us for a day. We caught the bus down to The Shore at Leith and had a very good lunch at The Ship On the Shore. The buses were very easy, very frequent and £4 per day for a travel card! We caught the bus up to the Royal Mile, went to look at the view from the Castle and then made our own arrangements for the afternoon until supper time ! Don't forget, you can still join us in Edinburgh, we are apporoximately 10 to 12 members who are meeting at the Apex Hotel Waterloo Place Edinburgh at 6 pm on 12th July. We will be in the bar and after sufficient time we will depart for a meal somewhere! We intend to visit The Britannia the following day with a possible lunch at Leith's Shore area. There is no need to book a place , if you want to join us come along to the Apex Hotel. If you want to contact a member who is going email website@overstoneschool.co.uk . The website email will be checked during the 3 day event and information can then be given as to where we will be as each day unfolds. It was rather a miserable showery day when we all met up at Hughenden House, near High Wycombe on 20th June, but the weather didn't dampen the spirits of 18 old girls from a variety of year goups. Several girls were non members and so the website information service is working! After all the sad announcements made in the last few months the Secretary had a wonderful post Christmas surprise. A beautifully wrapped parcel arrived containing a photo album of 150 photos taken by Mrs Winifred D Wareham ( WDW nicknamed Tigger) . She taught at Overstone in the 1930s and the album covers 1931/32. It was sent from the daughter of Miss Pahl , who taught needlework and other "practical fields"
The photos cover all sorts of events and a couple are reproduce here, and the rest in the Members' Photos page. The Committee will be looking into how we can preserve the best photos with professional scanning for our archive. We hope you enjoy these priceless pictures. OVERSTONE HOUSE: This is very recent news, Barry Howard Homes has exchanged contracts with a unilateral agreement to buy Overstone Hall. 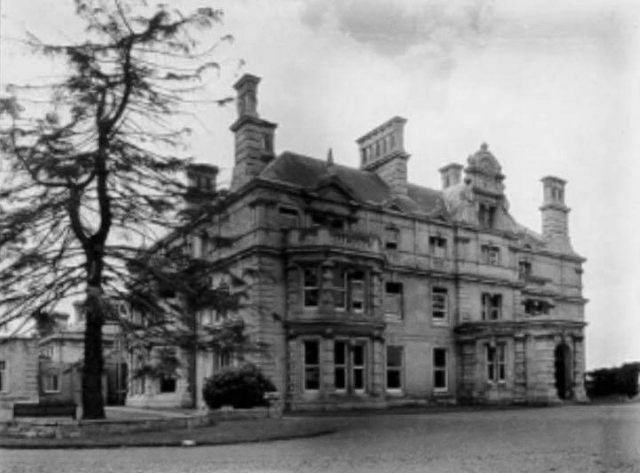 Barry Howard is a Northamptonshire based developer and has plans to restore the house. It is very early days in the planning, and he must satisfy the Listed Buildings Consent regulations as to what is possible. The Association is in touch with Mr Howard and will keep the membership informed of progress into 2016. EDINBURGH 2016. At our reunion in 2015 Anna Gordon invited the membership to come and spend a midweek break in her city of Edinburgh. The dates are Tuesday 12th July to Friday 15th July. Everyone is welcome to join us, you need to arrange your own travel and accomodation. Anna has a suggested meeting place for Tuesday evening where we can all get together and make plans for the following 2/3 days. The meeting will take place in the bar of the Apex Waterloo Hotel at 6pm on Tuesday 12th July. Please make sure you go to the Waterloo Place Apex as there are 3 other Apex Hotels in Edinburgh! If you are interested in receiving full details of meeting places and meal venues please contact us through info@overstoneschool.co.uk Some of us have already booked city apartments to share so do get on with booking accomodation. Founder's Day 2016: We will be meeting at Hughendon House, High Wycombe, Buckinghamshire , HP14 4 LA on 20th June 2016. Hughenden was owned by Disraeli, and was a top secret HQ during WW2. We will meet at midday in the Stableyard Cafe. We need to report another sad departure from our ranks. Jean Pinkney, aged 96, died on 27th December 2015. Jean left Overstone in 1937, and although we never met, her news for Keystone was always lively and showed how active she was right up to the Summer of 2015. She trained as a vet in Edinburgh, she would toss all her gear in the back of a car and set off to tend animals all over the borders. A fuller obituary will be available in the coming Keystone later this year. Sadly this page seems to be full of notices of our friends passing on. 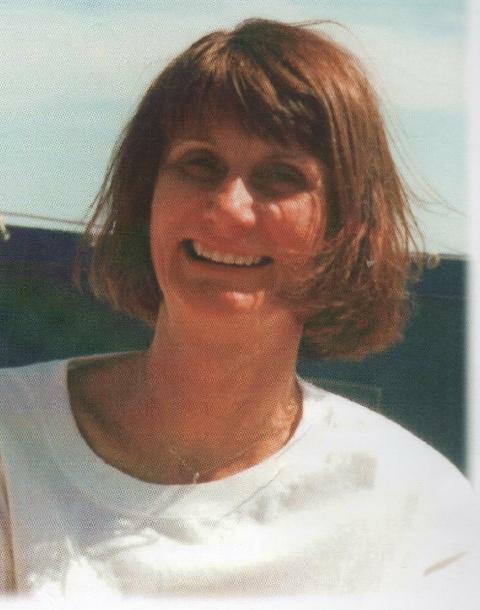 Lalitha (Lolly) Burton-Hogan died earlier this month in South Africa where she had been living for some time. Davina Fillingham has written the following tribute to her friend, in conjunction with Sue Jordan (nee Caple) , Kate Sainsbury (nee Wharton), Judith Tony (nee Mitchell) and Lolly's husband Bob. 1974 became a School Prefect and Head of Games. lives, keeping in touch with many of them once they had left school. her Secretary) and both voluntarily worked for 7 years for the South Africa Disabled Golf Association. qualified as golf rules officials, working at many tournaments in South Africa. team and that team now feels incomplete’. Following the report of the death of Jean Ironside we have had the biggest mail bag with memories of her. 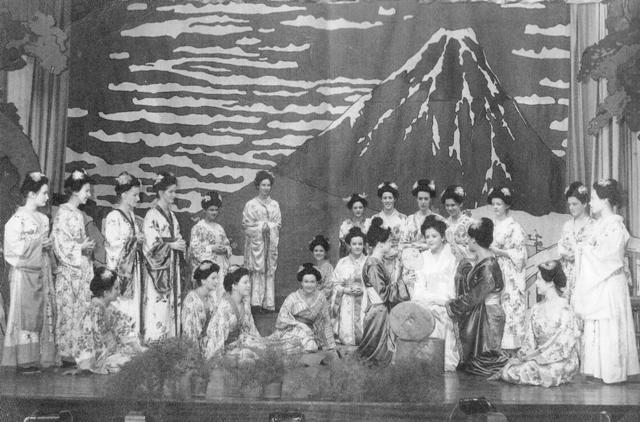 we now have such a collection of memories our archivist, Julia Jelley, is putting together a folder with extracts from the responses and matching programmes from the various plays and operettas she produced. If anyone has photos of these events we would be so pleased to scan and return them. It must be the time of the year, this time we report the death of Jean Ironside, drama and elocution teacher at Overstone in the 50s and 60s. She was 101! She has been so well remembered by members to whom we emailed with the news that our archivist Julia Jelley is putting together a montage of memories. Her funeral will be attended by two old girls and the Overstone Assocation is send a cheque for £20 to the Kathleen Rutland Care Home for the Blind. This is a Leicester based home. Jean Ironside produced many school plays, often a Gilbert and Sullivan production which shes co produced with Miss Nelson ( Nellie). If anyone has pictures of Pirates Of Penzance or Patience, or any other Ironside production we would love a jpeg to reproduce here and in Keystone. We are sorry to have to report yet two more deaths. The Administrator for Peter Seal wrote to tell us that he had died in March 2014. Peter Seal was the accountant for the previous incarnation of the Old Girls Association. We had had no contact with him recently but continued to mail with news of the Association. We were contacted by the son of Kathleen Hastings ( Mrs Thomlinson) who told us that Kathleen had died in November 2014. His mother's attendance at Overstone was something he knew nothing about and he found us because there were some old Keystones in her effects. He then traced us through the website. Our archivist, Julia Jelley was able to find her and her sister, Kathleen left in 1936. Kathleen supported the Ghurkas Charity and so we will be sending a donation in her memory to this association. We had the most wonderful and sunny day for our Reunion at The University Women's Club in London. 30 members and non members had booked to come, sadly 2 could not make it on the day. It was a very happy day with lots of chat and exchanges of stories and photos. For the first time in ages there was a majority of what we call "the YOUNG ones". Girls who left from 1971 to 1979. It was cheering to see so much support from all the year groups. The University Women's Club did a great job looking after us and it was agreed by all that this was a good venue for our formal events. The draft minutes will be posted on the Business page of the website in due course. However the news is that Cherry Gibbs (nee Drummond), a 1957 leaver, was elected Chairman . 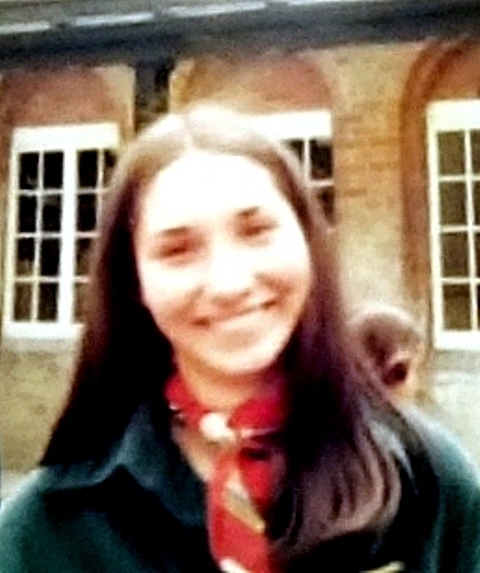 Sue Dawkins (nee Brown) joined the committee without portfolio. Jo Johnson (nee Northfield) volunteered to shadow Sue Bates as secretary elect, and Viv White (nee Syratt) will do the same for Sue Sharland (nee Ennis) as treasurer elect. Anne Groves (nee Tillotson) remains our Victualler, providing a meeting place for Committee meetings and more importantly,sandwiches! This was a great success with 22 girls attending! Well done everyone who made the journey. The roses were wonderful, the scent in the walled garden particularly beautiful. In true Overstone style we comandeered tables and chairs from around the restuarant garden area and all sat and had lunch together. 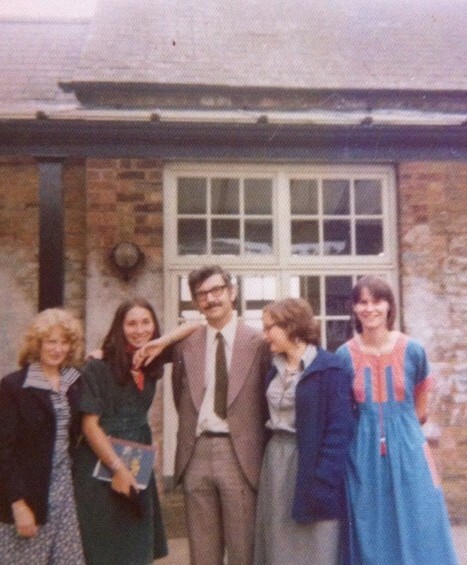 A mixture of years were present, 1976 leavers being the biggest group. Years 54, 57, 59,63, 65,67,70,71,74,and 75 were all there. Some new faces took Reunion booking forms away with them, so it would be wonderful if we could make the London Reunion as successful as this was! Wednesday 17th June : Founder's Day 12 noon onwards at Mottisfont Abbey and Gardens, Romsey Hampshire SO51 0LP. There is no need to book for this meeting, just turn up and find us around the restaurant area. 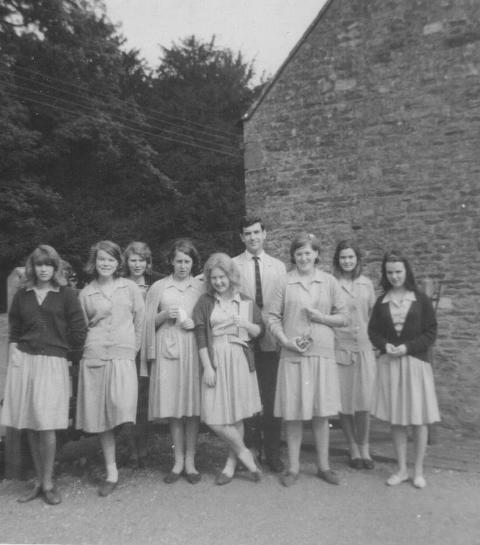 We hear about 9 girls from the 1976 leavers are coming, it would be great to see others from different years. The Committee members always keep a look out for members so don't be shy to come on your own! Mottisfont is a National Trust property and is famed for its beautiful rose garden, especially the walled garden. In June, if the weather is kind, this should be a perfect visit to see it.